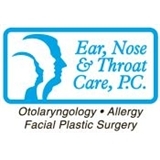 Ear Nose and Throat Care PC & Allergy (Somerville) - Book Appointment Online! We provide comprehensive ear, nose and throat exams, hearing tests, balance tests, hearing aid evaluations and allergy evaluations. We are centrally located in Somerville, NJ with easy access from Highway 287,Routes 22,202 and 206. We provide services to patients from Somerset, Hunderton, Middlesex and surrounding counties. Same day appointments are available and we participate with most insurance plans. Great doctor and person. Good staff.